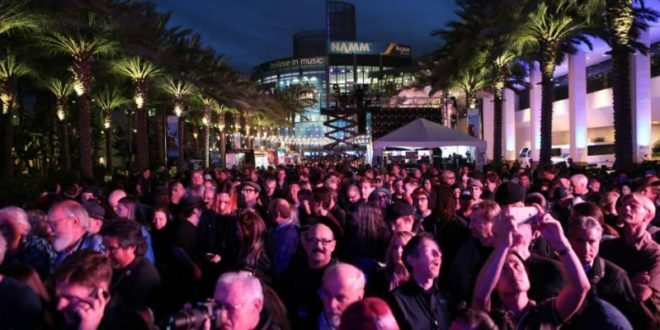 The 2018 edition of the NAMM Show opens its doors today with over 100,000 attendees from more than 120 countries expected to make the annual pilgrimage to the Anaheim Convention Centre in California. With a whopping 7,000 brands showcasing their latest gear and music technologies, as well as a jam-packed programme of awards shows, training sessions and networking opportunities, it’s important for visitors to know the what, where and when about this year’s global gathering. 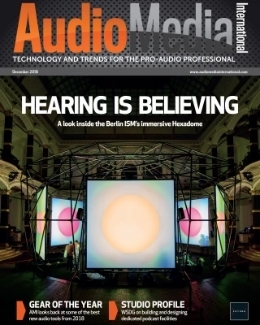 Here, we round up the biggest gear launches and developments from ten of the pro audio industry’s biggest players, which are simply not to be missed. Plan your visit for maximum productivity, and don’t forget to keep an eye out! As well as collaborating with Capitol Studios and Universal Music Group to promote Hi-Res Audio, the UK-based reference monitor manufacturer is showing its new result6 compact nearfield reference monitor on Booth 16117. 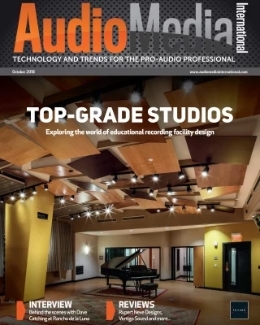 Launched in October 2017 at the AES Convention in New York, the new loudspeaker promises “high resolution and detail, accurate and extended bass, consistent tonal balance on all levels and wide dispersion and sweet spot.” PMC will also be showing its large format MB3S-XBD-A and BB6 monitors that were launched at last year’s NAMM convention, along with its popular twotwo series of studio monitors. Funktion-One will exhibit at NAMM for the first time and will use its North Hall Stand 18110 to present US tradeshow debuts for its Evolution and Vero loudspeakers, as well as the worldwide launch of the F124 bass enclosure. The Austrian microphone manufacturer will launch the new LCT 441 FLEX microphone (pictured above) on its show booth 11110 in Hall A at this year’s NAMM Show. The LCT 441 FLEX, a 1″ multi-pattern studio microphone, is said to share the feel and sound of the company’s LCT 440 PURE. Stop by booth 18107 for a look at Renkus-Heinz’ latest technologies, including the VARIA point source modular array, powered by the all-new SA Series amplification. Also on display will be the new customisable T-Series, including the portable TA-82 two-way system with TA118S subwoofer. Audio-Technica (booth 15311, Level 1 ACC North) is very busy indeed at this year’s show. 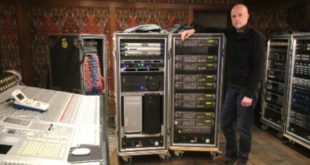 The company will launch the next generation of its 5000 and 3000 Series frequency-agile true diversity UHF wireless systems, designed for use on professional tours, in stadiums, concert halls, festivals, houses of worship and other demanding audio environments. Meanwhile, the Japanese manufacturer is unveiling the ATH-M50xBB professional monitor headphones (pictured above), a limited-edition blue/black version of its popular ATH-M50x and part of its M-Series line of headphones, along with two new pairs of professional DJ headphones and two DJ cartridges. 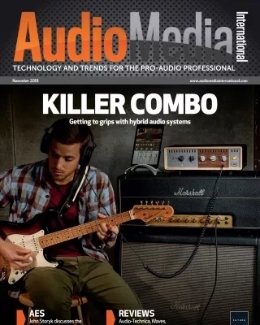 The Italian amplifier manufacturer is participating in this year’s NAMM convention (Booth 17701) for the first time since its inaugural appearance 13 years ago. 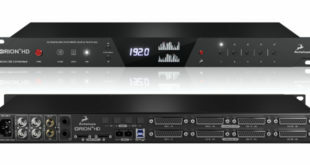 The company is showcasing its X Series and K Series touring amplifiers along with its Ottocanali and Quattrocanali amplifiers for installed sound applications. Other products being shown include the M-Force moving magnet acoustic transducer, the company’s range of OEM amplifier modules—including the new MiniMod 4 for low power applications, rack amplifiers for touring and installation, and the Deva outdoor multimedia unit. In addition, Powersoft is hosting training sessions at its booth and offering discount coupons for participants as part of a new marketing initiative with Rational Acoustics, makers of Smaart measurement software. 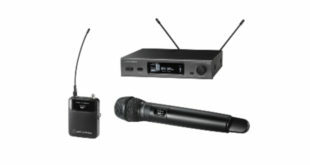 At Booth 18507, DPA will highlight its award-winning d:vote 4099 Instrument Microphones, d:facto Vocal Microphones and new CORE by DPA Technology, with booth performances, interactive listening stations and informal daily Q&A sessions with members of its “Masters Club” of sound engineers. The company is also the exclusive microphone sponsor for NAMM’s Grand Plaza Main Stage, providing 24 d:facto’s, 46 d:vote’s, 32 d:dicate 2011C Twin Diaphragm Cardioid Microphones and 10 d:dicate 4018 Supercardioid Microphones for the 35 bands that will be performing over the course of the five-day show. UK manufacturer Prism Sound is using its Booth 16109 in the North Hall of the Anaheim Convention Center to launch Verifile, a new technology that allows computer audio recordings to be quickly checked for a wide range of errors and dropouts, without any compromise in the audio content or any additional metadata. The technology is now available on Prism Sound’s USB audio interfaces including Lyra, Titan and Atlas (pictured above). For existing users of these products Verifile is available, free of charge, in the latest software and firmware download package from the downloads section of the Prism Sound website. The manufacturer of guitar and bass loudspeakers and professional audio drivers for sound reinforcement applications will debut the Neo 250 Copperback, a new type of guitar speaker intended to help musicians and amplifier builders optimise the native tone of their systems while also achieving maximum response to players’ touch and dynamics. The company promises a lightweight speaker that offers an ‘unparalleled blend of power handling, transparency, tonal nuance, and dynamic response. VUE Audiotechnik will use this week’s NAMM show in Anaheim to show off two new models in its h-Class family of high definition powered systems in booth 14501. VUE says the h-8N, with its narrow 60-degree coverage, adds another level of versatility to the h-Class range, while dramatically expanding applications for VUE’s flagship technologies. Also new is the hm-108A, an ultra-compact stage monitoring system that benefits from the same 8-inch transducer and beryllium-infused compression driver as the h-8 and h-8N. 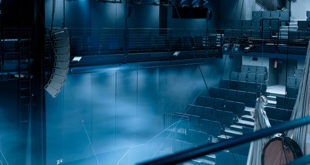 Designed specifically for maximum transparency, the hm-108A is ideally suited for critical foldback applications including theatre, choir, orchestra. The company will also unveil the al-12SB Flyable Subwoofer (pictured above), designed to expand the flagship al-12 line array’s versatility by delivering powerful and well-defined low-frequency reproduction to below 35Hz.